The Goggomobil Dart is an automobile which was developed in Australia by Sydney company Buckle Motors Pty Ltd. and produced from 1959 to 1961. The Dart was based on the chassis and mechanical components of the German Goggomobil microcar, which was a product of Hans Glas GmbH of Dingolfing, in Bavaria, Germany. 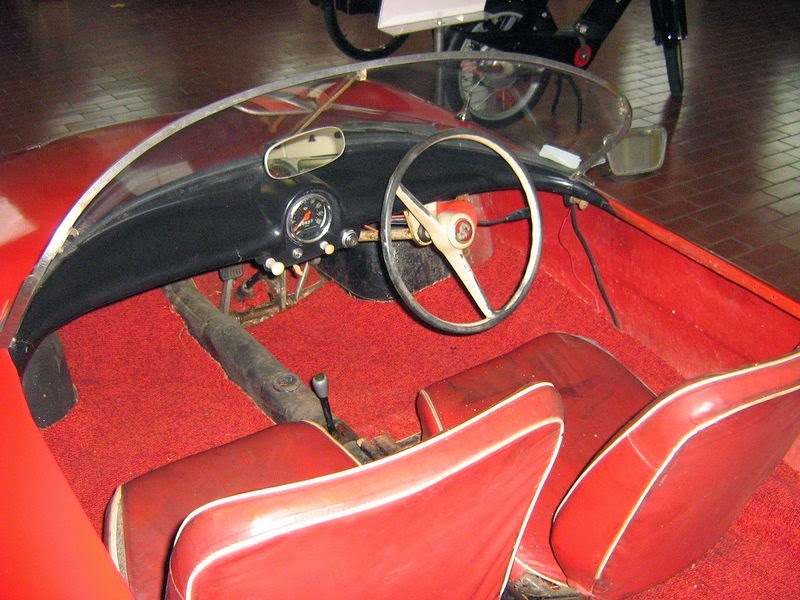 The car featured an Australian designed fiberglass two seater open sports car body without doors, the whole package weighing in at only 345 kg (761 lb). It was powered by a rear mounted twin cylinder two stroke motor available in both 300 cc and 400 cc variants. and had a small luggage compartment built into the nose. The Dart was designed in 1958 and went on sale the following year with around 700 examples produced up to the time that production ceased in September 1961. Last updated on 17 March 2013 at 12:52.